If all goes according to plan, more than 450,000 owners of Volkswagen and Audi sedans, wagons, and hatchbacks with 2.0-liter TDI diesel vehicles from the 2009 through 2015 model years will start to receive buyback offers from VW late this year. Many owners have already indicated that they plan to take the buyout, some as soon as possible. But it turns out that owners acting in their best financial self interest may do better by waiting until the last possible moment to agree to the buyback. 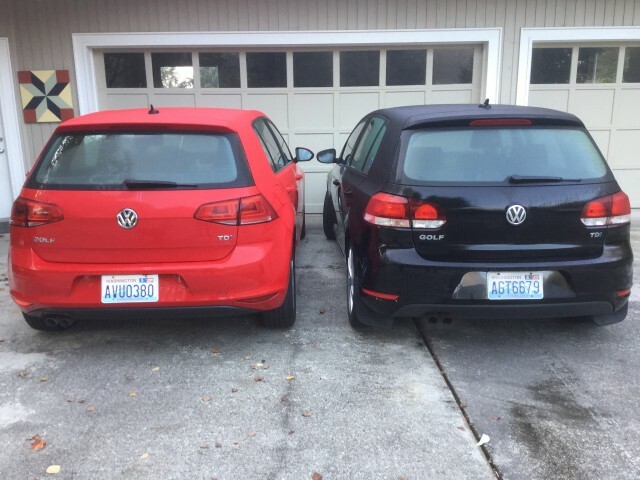 Phil Grate and his wife, who live in the Seattle area, presently own not one but two Volkswagen TDI diesel vehicles. He explored the various options for timing the buyback in an article he submitted to Green Car Reports. What follows is Grate's analysis. When Volkswagen comes a-calling with an offer either to correct the TDI emissions problem or to buy back the car, some owners already know what they will do. Some will rid themselves of the offending and offensive vehicle as soon as they can. Others await a modification, so they can keep their beloved TDI. This article is not for either of those types of owners. 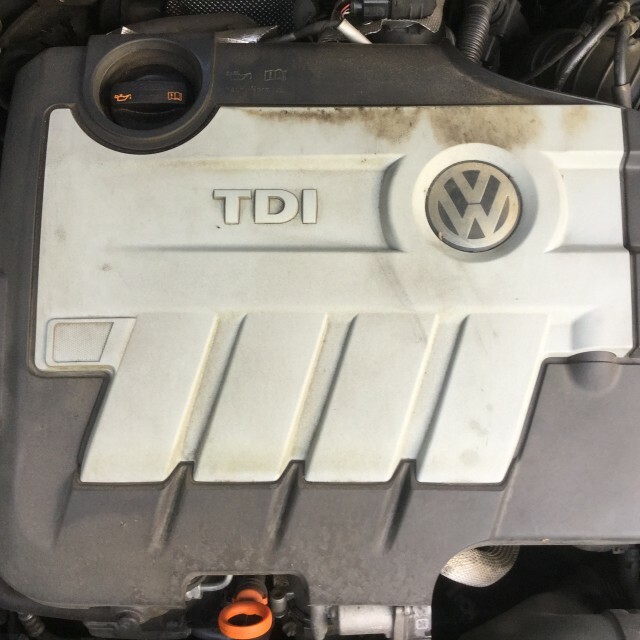 But the TDI owners still mulling their options should be aware of a peculiar financial dynamic embedded in Volkswagen’s settlement with the EPA, CARB, and class-action attorneys that could affect how they may want to respond. To illustrate, I’ll use my family as an example. 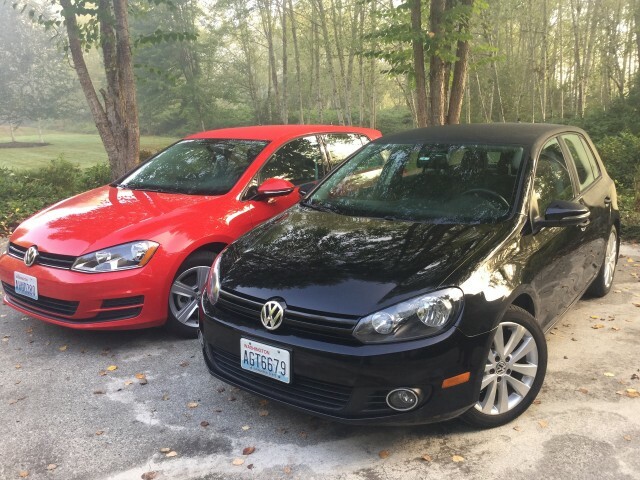 We own “his and hers” Golf TDIs with manual transmissions: a black 2012 and a red 2015. 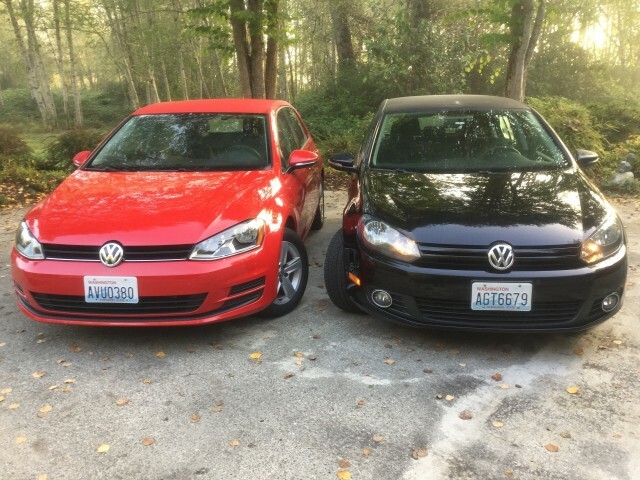 These are our first Volkswagens. They may be our last—but perhaps not. We bought Golfs because they are practical, well-finished, and fun to drive. Commuting long distances and traveling for work, we put 22,000 miles on our cars each year, mostly highway travel. We paid extra for diesel engines because it was an open secret—now explained by emissions control defeat software—that TDIs get great mileage, often better than EPA estimates. And our TDIs have not disappointed. The EPA estimates a 2012 Golf TDI six-speed manual will achieve 42 mpg highway and 34 mpg combined. Measured at the pump, our 2012 averages 44.8 MPG overall. The 2015 TDI probably does better, but we can’t confirm that because the primary driver does not log her fuel purchases, let alone save her receipts. Under the settlement, Volkswagen must buy or fix the affected TDIs between now and year-end 2018. For simplicity’s sake, let’s assume Volkswagen can buy or fix any given TDI no sooner than the end of this year at best. So we have a two-year window of opportunity, financially speaking. 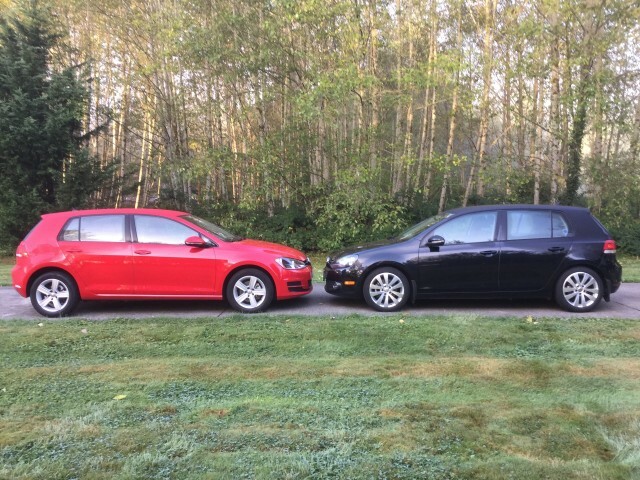 Assume that at year-end 2016, the 2012 TDI has accumulated 110,000 miles and the 2015 has 30,000 miles. Under the settlement agreement Volkswagen would buy back the 2012 for a total of $18,287 and the 2015 for $22,776. Fast forward two years to year-end 2018. The 2012 TDI’s odometer shows 154,000 miles and the 2015 has 74,000 miles. Volkswagen would buy back the 2012 for $17,417 and the 2015 for $21,636. Comparing the year-end 2018 buyback against the year-end 2016 buyback, Volkswagen would pay $870 less for the 2012 TDI and $1,140 less for the 2015 TDI. But each would be two years older and have 44,000 more miles on the odometer. So the cost of waiting two years to let Volkswagen buy back our TDIs is $36.25 a month for the 2012, and $47.50 a month for the 2015, assuming we continue to put 22,000 miles on each car. If we drove our TDIs 12,500 miles per year in 2017 and 2018 our monthly cost would be zero. So would yours. And there’s the dynamic: this settlement agreement strongly incentivizes owners to hold and drive their TDIs until the last possible moment before they take the buyback. That’s because the buyback amount is frozen at the car’s clean trade-in value as of September 2015, and does not decrease with either time or miles unless the mileage exceeds 12,500 per year. If you already own a qualifying TDI, and you want Volkswagen to buy it back, you would be hard-pressed to find a less expensive way to own and drive a car than to hang on to it as long as possible before letting VW take it back. You can see how this works for any affected TDI using the elegant VW TDI Buyback Calculator that a kind and capable person put up on the web. It allows you to compare the payout amounts under different assumptions about total mileage and the date when the buyback occurs. You might worry that while you hold your TDI you must pay interest, insurance, maintenance, fuel, etc. But you’d pay those same costs on a replacement vehicle too. 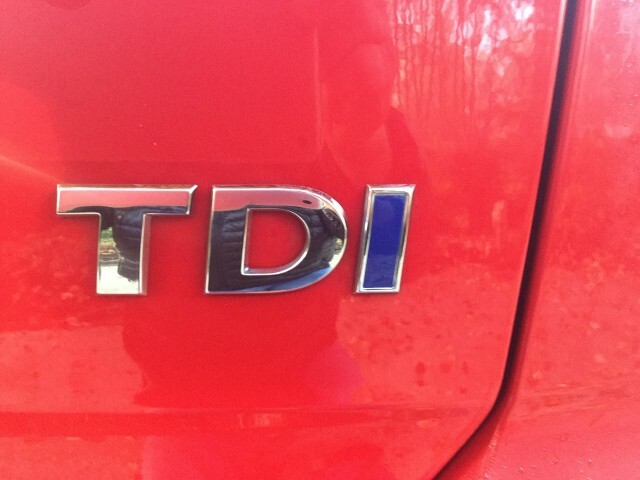 You might argue that the TDI should be scrapped as soon as possible because it pollutes more than it should. Fair enough. You might say I really should compare keeping my dirty diesel two more years to an electric-car replacement now. Frankly, you’ve got me there. In my defense, when I do take the buyback, I plan to replace my diesel Volkswagen with an electric car. If the Tesla Model 3 is available, it might be an option, since its Supercharger network would make it suitable for our kind of business travel not too far from the Interstates. But we may still replace our second TDI with another Volkswagen—especially if the company were to offer its former TDI diesel owners the Microbus-inspired Budd-e electric micro-van at a nice discount. We’ll know in a couple of years. Phil Grate is a former accountant now working in the government relations department of a national telecommunications firm. His wife and he drive 30 miles each way to their jobs in the Seattle area. Both travel for business, including Phil’s frequent trips to state capitols.